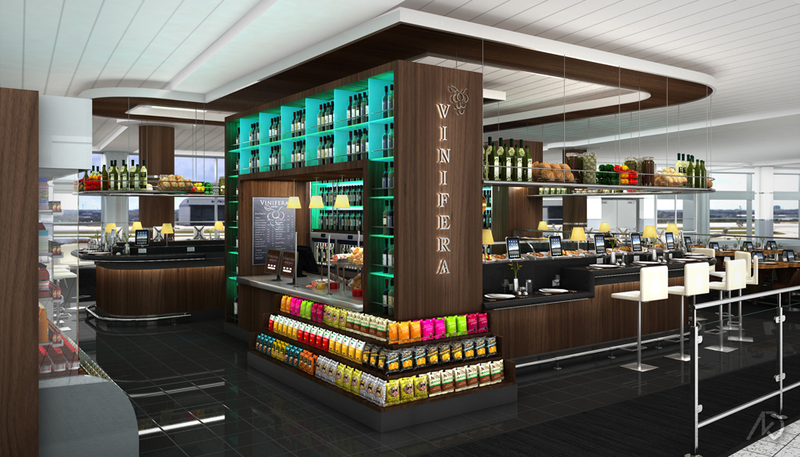 The following images show Vinifera, a small wine bar/restaurant located off the concourse in terminal three of Toronto International Airport. The design, which consist of a front bar and a rear counter, has small prep-kitchen that serves tapas and wine to patrons. 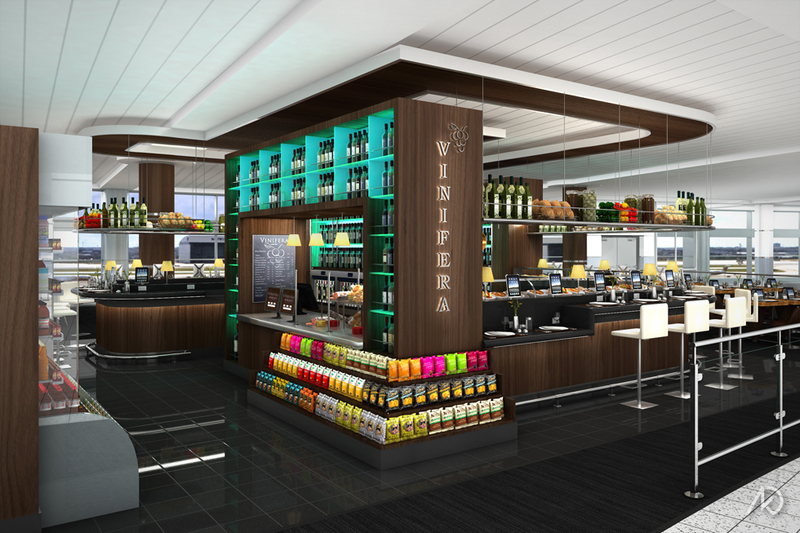 The secondary view shows more of the interior bar which houses the kitchen, more wine storage, and enomatics. 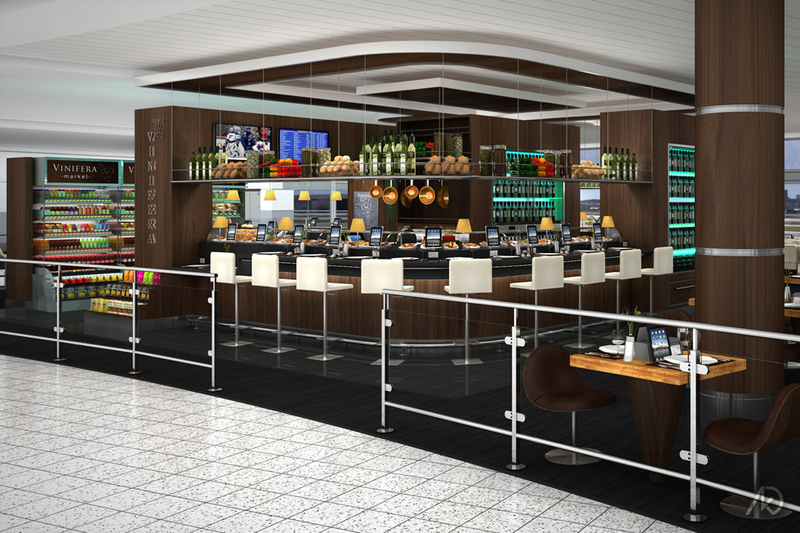 One can also see the secondary seating which provides for a more casual dining experience. All items in the scene (except for some of the products) were modeled, textured, and lit by kk.